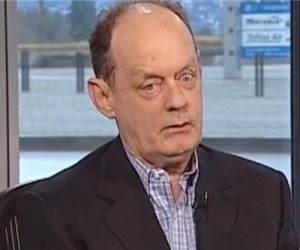 That is how an analyst once described the writing of Rex Murphy. Murphy, in his latest pronouncement on Neil Young's position on the tar sands, proves nothing has changed. In the immortal words of Homer Simpson: Rock stars, is there anything they don't know? That's just the start of Murphy's diatribe and you could probably quit reading right there. Murphy, who regularly expounds on topics on which he is bereft of education and without a scintilla of fact, just used the words of an imaginary cartoon character to call out Neil Young for having no knowledge. However, Murphy is well-known for being welcome at the campfire of Big Oil. He shills for them with great regularity and even performed for them at the University of Calgary where he presented an uninformed, uneducated, deceitfully headlined speech called Climate Change 101. (A subject in which Murphy has no expertise and presented without a single actual credible scientist in the room). 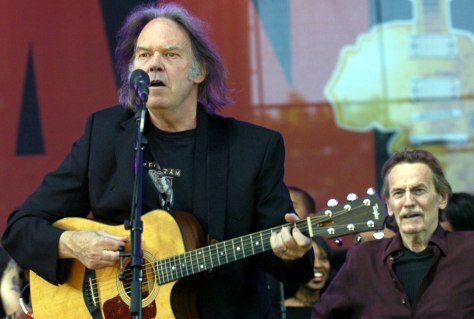 So, let's compare Murphy's criticisms of Neil Young with Murphy himself. Homer's truth rang out again when I heard Neil Young — expatriate, now California-based rock immortal — staggeringly claim that the Fort McMurray oil site reminded him of atomic-bomb-blasted Hiroshima. OK, we get that Murphy is a Homer Simpson fan, but the fact that a Canadian lives in California is relevant, how? Murphy is trying to make a point that if you don't live north of the US border that, even if you visit the tar sands, you can't actually see them. And what is just so staggering about a vast manufactured wasteland which is visible from the International Space Station being compared with a similar, but much smaller, level of devastation? Now, we can forgive minor sins in any propaganda war — and there is a propaganda war circling the oil sands. But to offer an equivalence, and repeat it, with the horror, mass obliteration and deaths of Hiroshima, goes so far outside all boundaries of good taste, truth, judgment and proportion as to be unfathomably irresponsible. Unfathomably? Remember when Murphy wrote this? He tore into Christopher Hitchens and Richard Dawkins for being "angry". He even invented words to describe their very thoughts. The only problem was, Murphy had never interviewed them. And it was a subject with which he was utterly uninformed because it dealt with the counselling of soldiers in combat. It wasn't even a Canadian issue; it dealt solely with the U.S. military. All told there were at least three subjects on which Murphy had no knowledge, either directly or via competent research, yet he opined at length on the pages of a Canadian daily. Irresponsible? Many American commentators suggested that and much more. And as for "propaganda", Murphy should remain silent on such pointed utterances of the word when referring to anyone but himself. ... one-sided and over-toxic condemnations amplified by the voice of a rock star are not that discussion. Mr. Young has failed to be fair, and thereby he fails also to be persuasive. The master of uninformed, one-sided, over-toxic condemnation so says. And once again Murphy highlights Neil Young's legacy of fame as having no value. So, how does Murphy stack up? Not well. Murphy is a three-times failed political candidate and an apparent opportunist. He has run for both Progressive Conservative and Liberal parties in Newfoundland and was rejected by voters. He speaks and writes at length on the evils of climate-change science vociferously claiming he is not a denier, but a skeptic, without the benefit of having ever actually having read the science or having demonstrated any ability whatsoever to do any of the basic math associated with climate science. Still, university chancellors have tripped over their own gowns conferring honourary degrees on him for whatever reason and Murphy gains access to university audiences to speak on topics completely beyond his realm of education. That would make him that much more special than Neil Young if it weren't for one small fact: Neil Young has honourary degrees too. More than one reviewer of Murphy's downward spiral has suggested that he attempts to cover his irrelevance with polysyllabic gobbledygook. One of them, Robert Miller, struck home when he inferred that Murphy's so-called eloquence is actually little more than a poor attempt at imitating Mark Twain ... and Mark Twain would not be pleased. (Read Twain's 19 rules, but read 13 and 14 particularly closely). I can sum this up with a quote directed at Murphy, once again from G. Robert M. Miller: ...you’re too juvenile and too poorly read to write on this subject, and so you shouldn’t. At the very least, Murphy is in no position to pass critical judgement on a host of subjects in which he proclaims, but cannot substantiate, superior knowledge. That includes tackling Neil Young. He has fully earned the nomenclatural transformation I bestowed upon him all those years ago. I propose to the entire intertubes that from this time forth we refer to him thus. Could the column concerned therefore be described as the 'Wreck of the Edmund Fitzgerald Smurfee'? If Murphy's mouth was a little larger, he could get both of his feet in it.